How to select a building contractor or trade contractors for remodeling your basement. Are you intimidated by finding good contractors to complete your work? Don’t be. Today’s post offers useful tips on how to gauge bids and size up the companies you seek out for assistance with your basement remodel. This is the second installment in our basement finishing and remodeling series. We hope it will help you better utilize valuable space you may have overlooked – your basement. Refer to other pages on our website to learn how to make the best use of your space, the planning and design process, and a discussion about managing the project yourself versus hiring a general contractor to handle it for you. The building and remodeling industry has a reputation for being difficult to negotiate with, often going over budget and over schedule in the completion of their work. While a savvy homeowner may be able to avoid some of this pain, you could easily find yourself waiting for estimates that never arrive, receiving competitive bids that are so different in price that they make no sense, and dealing with concerns about subpar workmanship. 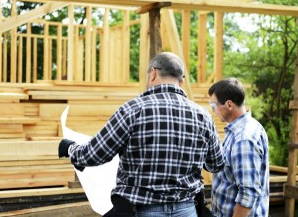 Contractors are everywhere, but how do you find the right fit for you? There are many honest quality companies doing work, but how do you weed out the good from the bad? However you choose your contractors, through the web or by referral, you may be surprised to find two contractors offering the same supposed services may be entirely different. Some firms are large with full-time project managers, salespeople, bookkeepers and carpenters. Other firms only staff one or two employees. You are likely to find the size of the bid is directly proportionate to the size of the company. Larger companies have often been in business longer, have added more services to their company (and consequently, more overhead) and need to price accordingly. These larger contractors will often be the most expensive bids you receive. It costs them more to do a job than the smaller contractors. Conversely, some smaller companies have lower overhead, but may not be equipped to handle some projects as well as their larger counterparts. A shrewd homeowner with the time and energy to work with smaller contractors can save a lot. Smaller contractors however, rarely offer the design assistance and other services available with a larger, more established firm. There will be a lot more “do it yourself” in the design process. Also, a Sole Proprietor Remodeler cannot be highly skilled at everything. Quality of workmanship varies greatly from one home remodeler to another. Availability and skills for remodelers can be a challenge as one can only do one job at a time and have certain honed skill-sets. Finding the best person for the job can be difficult. In the construction business, contractors often supervise themselves. Surprisingly, home remodelers are not required to obtain any certifications or take any training. They are self-taught and their remodeling knowledge is limited to what they have been exposed to and worked with in the past. It is important that you check out a contractor and conduct due diligence! Some contractors do low quality work but offer-up a smooth sales pitch trapping unsuspecting homeowners! To reduce costs and offer low bids, these remodelers skimp on construction materials and cut corners in their workmanship to lower their price. Many homeowners will regret being lured by the lowest prices because they don’t get the quality they want. Online referral websites constitute one form of checking on a contractor, but homeowners should really do their own due diligence to ensure they are indeed getting one of the good guys! Get referrals from someone in the industry. Call a paint store to recommend a painter. Call a drywall material supplier to recommend a drywall expert. Asking the right questions can help you obtain recommendations. If you are not using a contractor referral service and remodeling consultant such as Owner Assist Remodeling it’s difficult to identify the best trade contractors and manage them throughout your home remodeling project. 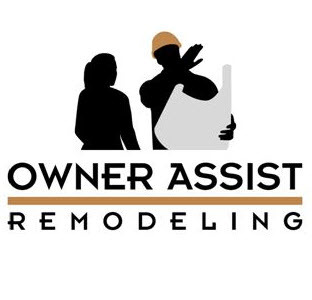 Owner Assist Remodeling’s professional designers, expert construction managers and proven trade contractors help homeowners reduce their cost by eliminating the general contractor. Though not for everyone, this is the perfect solution for homeowners who would enjoy playing the part of Owner-Builder for their home improvement project, but need a quality construction consultant to help with their planning, design and construction processes.